Education: University Major: Chinese Language and Literature Have worked as both Chinese teacher in middle school and instructor in Mandarin schools. Good at traditional Chinese crafts such as calligraphy, painting. I have spent fourteen years teaching Chinese language to both local students and foreigners since I graduated from East China Normal University, with a Bachelor degree of Chinese Language & Literature. I have the Certificate of Teaching Chinese as Foreign Language issued by Chinese Education Department. I am good at using multiple teaching skills and methods according to individual needs , familiar with the culture difference. I have taught hundreds of students over a range of courses including general, conversation, business Chinese and HSK preparation. My teaching style is easy and happy. I am happy to adapt our lessons to what suit you best. Aug 2012-May 2016 Working as a Chinese teacher in Aurora Education Group. Aug 2016-now Freelance Chinese teacher. You don't pay anything unless you find a good fit! 1. *Above rates are based on 2+ hours teaching per time. If you study ﹤2 hours per time, expect 25y%-50% raise in rates or consider on-line tutoring. Minimum 40 tutoring hours are required to proceed with any booking. 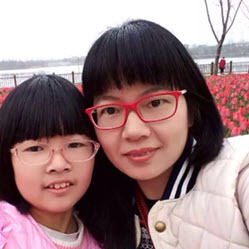 In this period, Becca was an outstanding and impressive private Mandarin tutor with a broad range of positive characteristics. She was able to assess our level of familiarity with the Mandarin language and identify our weaknesses very efficiently and thoroughly. I have really enjoyed learning Chinese with Becca. She is an enthusiastic and versatile teacher who caters to people on individual level and plans lessons they will enjoy as well as benefit from. Becca makes lessons fun by implementing a range of learning techniques. I look forward to continuing lessons with her and would highly recommend her as a teacher no matter what level of Chinese you have. Becca made learning Chinese easy and fun. She was amazing and gave us great lessons. I would recommend her highly. My wife and I were very happy to have Becca as our personal Mandarin tutor. She is really professional, nice, informative. We really enjoyed the lessons she arranged for us. Becca was our tutor the entire summer. Totally enjoyed her lesson and learnt a lot. We would defintely learn with her again when we are back in Shanghai. Becca is a very good teacher. She teaches in a way that I enjoy it. Thank you.